Here is when artificial and natural come together, when humans and landscape are one only thing, when art and Earth are not distinguishable anymore: Land Art. Land Art has been called in many different ways, such as Earth Art, Earth Works, Environmental Art, but from here on we will refer to it just as Land Art (to make the reading simpler for all of you, and to avoid misunderstandings). In the ’60s the artistic world was renovating itself, after the war and the rising consumerism, and many different art movements saw the light: Pop Art, Minimalism, Nouveau Réalisme, Fluxus and Happenings, Performance Art, etc. Among these ones, Land Art definitely stood out! Its large-scale works, its unreachable sites and its actions against the art market were difficult to ignore. In particular, Land Art wanted to put quite a distance from Minimal Art, as its coldness, its industrial features and its geometric abstraction really were not the characteristics that Land artists were searching for. On the other hand, Arte Povera was a great inspiration for them, due to the idea of working with raw natural objects. Land art works with the natural landscape, intervening with the human action sometimes in an invasive, some times in a non-invasive way. The relationship between human beings and natural landscapes changes radically: from a simple contemplation to a radical change. Human actions and nature’s actions are often similar, almost non recognizable. 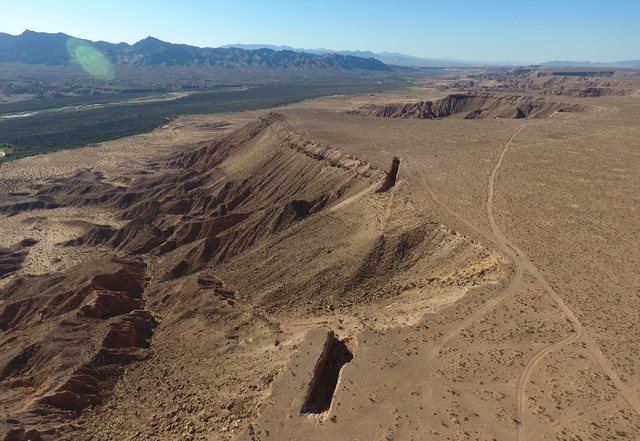 One example is Michael Heizer‘s Double Negative, which we will speak about in the next section. One of the main characteristics of the artworks belonging to Land Art is the decision of the artists of letting them being subject to natural decay. Just as natural elements do, the artworks have to undergo natural erosion, damage, change. The artists often signed agreements with the buyers of the works not to intervene restoring them. Many times the choice of the site were to create the work was not casual. The “site-specificity” of the artworks was often key to understand the meaning behind them. For example, some artists were searching for specific sites characterized by deterioration in order to renew them. 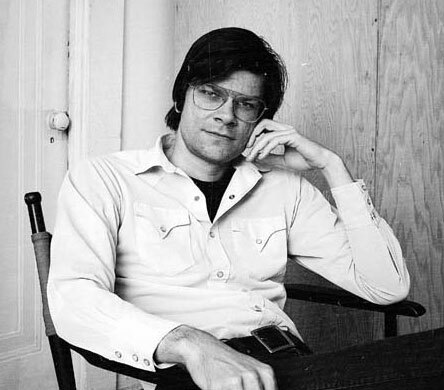 Robert Smithson, one of the greatest artists of this movement, was defining Land Art as art made with elements taken directly from Earth. He distinguished the “site” works from the “non-site” works: the site works were the artworks made in a specific site, artworks that couldn’t be moved because of their proper nature, the non-site works were the ones that could be transported inside a gallery. This distinction was fundamental to arrive to the next point of our list! Land Art, as many of the movements of the ’60s, was advocating against the art market of the time, making exhibitions and views of the artworks almost impossible. I am saying “almost” because eventually the artists found a way to sustain themselves through the sell of photographs, sketches, pieces of land taken from the site, etc. The artists that took part of this movement were almost all American (probably due to the large availability of huge natural spaces where the artists could work). 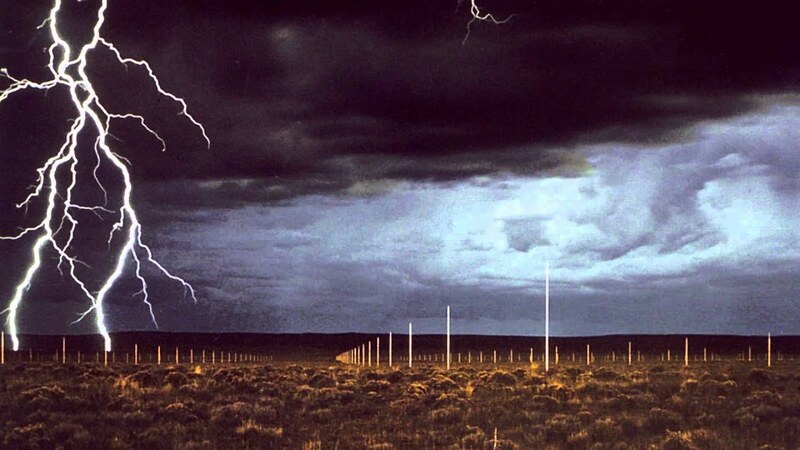 Walter De Maria created probably the most popular and suggestive Land Art work, The Lightning Field (1977). We already spoke about it, but it is still relevant to pt a picture here, so you know what it is about. The artist chose the desert of New Mexico, and put a grid of vertical metal sticks into the soil. Those sticks attract lightnings during storms, creating an awesome lights show. As many of the Land Art works, it is very difficult to reach by visitors, and the very few that are allowed to enter cannot take photographs or videos of the phenomenon. This is probably why there are so few pictures of it on the internet. It is doomed to disappear in the future, destroyed by nature. Smithson made the artwork that we chose as this article’s featured image: that is, with Walter De Maria’s one, the most famous. It is called Spiral Jetty, and it’s located on the coast of the Great Salt Lake in Utah. The artwork is made of natural materials such as salt crystals and basalt rocks, and it is completely subject to the changes of the lake: it disappeared for several years due to the raising of the water level of the lake, but since 2000 it started being visible again. It can be seen from above – from a plane – or from the land, but it can be seen also from inside it, walking on it. Micheal Heizer created the work we talked about briefly in the previous section, the Double Negative. The artist made the work by digging two artificial canyons in Nevada. 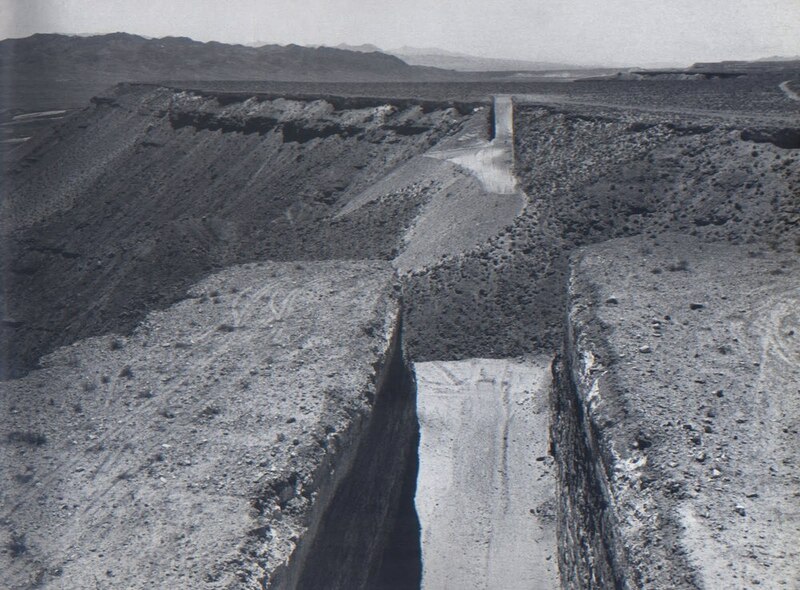 Those trenches, visible from the satellite as two dark shadows, are meeting the natural canyon of the area, creating what he calls a “double negative”. As Michael Heizer himself says: “there is nothing there, yet it is still a sculpture”. The work is visible, if you like to! Charles Ross built what it’s called Star Axis, a building designed respecting the Earth – stars axis alignment. 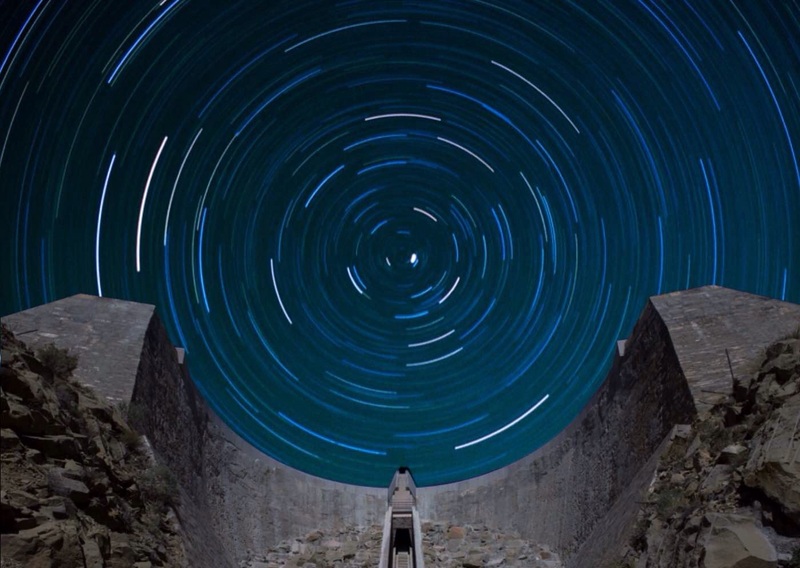 At the center of the Star Axis there is a specific space called Star Tunnel, that frames Polaris, the north star. The Star Tunnel is precisely aligned with the Earth’s axis, creating a universal alignment made for the humans to feel at the same time at the center of the universe and just a little part of it. The whole architecture is just beautiful! Nancy Holt, the only woman of our list (I know, this is under-representation, but I am showing the world-known masterpieces: this is just a photograph of society! 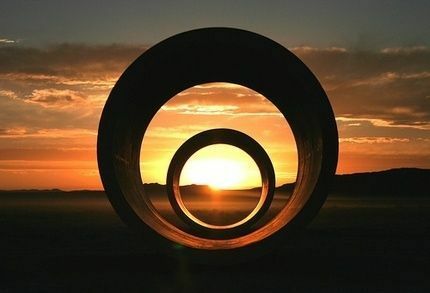 ), is a land artist that created a stunning work made of four cylindrical concrete tunnels, aligned to perfectly frame the sun during summer and winter solstices. This work is very beautiful, and it invites to the contemplation of the landscape like no other work that we’ve seen, in my opinion. Among the people who contributed to let this movement come to life, we have to mention the gallerist Virginia Dwan (another woman! Yay!) who saw the potential of Land Art ahead of everyone else. Of course funding this kind of art may be really expensive, and Virginia Dwan financed a lot of these projects (some of them were then donated to other museums or foundations, so she didn’t receive any revenue from some of them) demonstrating a very good foresight. An artist that I would like to mention is Richard Long, a very important contributor to the Land Art. I didn’t include him into the list of artists involved because he produced mostly earth works made to be shown in galleries, while I wanted to give you an idea of what distinguishes Land Art form any other kind of art ever made: the large scale, the site-specificity and the unconventional market. But he is a great artist to go and check out! Unfortunately, Land Art was depending on private patronage for most of the works, and with the recession of the ’70s (1975-1977) the artists had to find other way to sustain themselves with their art, giving up enormous artworks in landscapes. Their legacy is still alive today though, because the renewing of specific spaces is nowadays done with the help of Land Art festivals, works and funds.